If you know Emeril, you know that he always takes cooking to the next level. And when it comes to grilling, that means that instead of hamburgers he's making Pork and Chorizo Burgers with Green Chile Mayo. Instead of corn on the cob, he's got Grilled Corn with Cheese and Chile. Anyone can grill a chicken, but only Emeril would come up with Northern Italian-Style Chicken Under a Brick (yes — a brick!). And while we all love peach pie, how about Grilled Peaches with Mascarpone and Honey? You've never grilled like this before. The 158 recipes in this book are easy, fast, and make every meal a party. And why should grilling happen only in the summer? 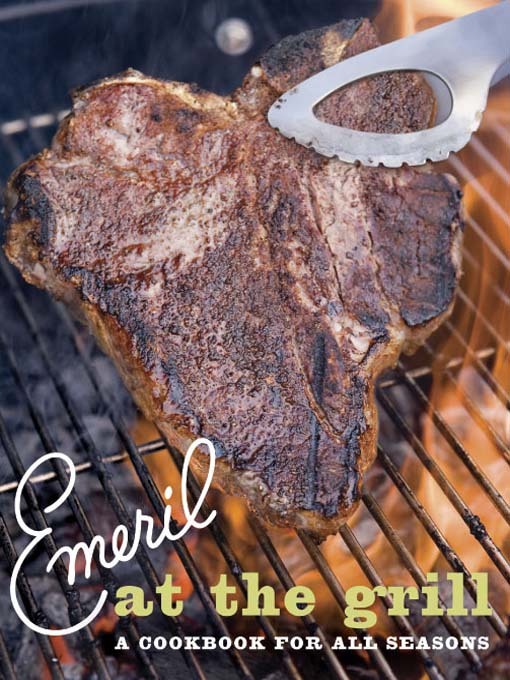 Emeril at the Grill is full of techniques for both indoor and outdoor cooking, so you can keep the party going all year round. From drinks (Watermelon Margaritas) to meats (Grilled Marinated Flank Steak with Chimichurri Sauce, anyone? ), from salads (Watercress, Avocado, and Mango Salad) to desserts (ever grill a banana split? ), this is a grilling book like no other.